Bookmakers have a lot of bonuses like free bets and free money when registering an account. How can you make the best use of these bonuses? When you register a new account at a bookmaker you will receive a deposit bonus most of time. Sometimes it is a percentage of your deposit, like 100 % at william hill, and sometimes it is a fixed amount. But before withdrawing these bonus amounts there are always certain conditions that need to be met. The most common is the rollover. That means you have to wager your deposit amount + bonus a certain number of times before you can withdraw it. This can be very frustrating as there are a lot of things to consider, like some bookmakers only accept bets with odds of 2.00 or higher. However, there is a way you can profit from those bonuses, and by that we mean there is very high potential to gain over £1,000 from bookmaker bonuses. This is a perfect starting bank for your betting journey. You might already know that you can lay bets at betting exchanges like betfair. That means you are betting AGAINST a specific outcome of an event. If you don't know how it works you can read through our guide here. 1. You deposit £100 at william hill, and receive a 100 % bonus of £100. So you actually have £200 to bet. But you can't withdraw it because of the bonus conditions. What you do next is you deposit another £200 to betfair. So you have £200 at william hill and £200 at betfair. 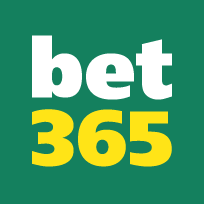 In total you have £400 to bet with, but you only did deposits of £300. So your aim is to win £100, or a bit less because of commission at betfair. 2. Now you look for a match where the BACK odds at william hill are similar to the LAY odds at betfair. Let's say you found a match where the odds for the DRAW are 2.00 at william hill, and 2.00 at betfair. 3. You now bet the whole £200 at william hill ON the draw. After that you have to LAY the same amount at betfair. This way you cover both outcomes. a) If the match ends in a draw, you win the bet at william hill. Your bank at william hill would then be £400 (including £100 bonus money), and at betfair it would be £0. You wouldn't lose any money. You simply repeat the process of backing at william hill and laying at betfair. b) If the match doesn't end in a draw, you win the bet at betfair, and exactly that is what we want. Because now your bank at william hill would be £0, and at betfair it would be £390 (initial bank of £200 + winnings of £200 - 5 % commission). But there is no bonus money, you can withdraw the whole £390. 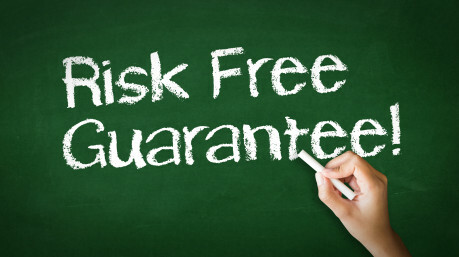 So you made a profit of £90 absolutely risk free. That is the whole principle behind Bonus Hunting. It is a very safe and easy way to gain more than £1,000 from bookmaker bonuses. If you made use of a bonus at one bookmaker, you simply go to the next one. Do it at every bookmaker out there, it is absolutely worth it. The only problem is the calculation of the stakes. We took a simple example with odds of 2.00, but in reality this is rarely the case. Most of the time it will be odds like 2.50 on bookmakers, and for example 2.56 at betfair (odds at betfair will be a bit higher than odds at bookmakers). The calculation will then be very complicated. But we found the perfect solution for you! There is a service that is specialized in Bonus Hunting, it is called Bonus Bagging. We wrote an independent review about it. Please click here to read our Bonus Bagging review.